The Company of the Green Man maintains the largest gazetteer of Green Men (and Green Women) in the world. When the founder of The Company of the Green Man Ronald Millar wrote the book “The Green Man Companion and Gazetteer” in 1997 he included our first gazetteer containing 61 entries. Ron told me that he thought there may actually be hundreds of Green Men out there. Little did Ron know how much he had underestimated the incredible spread of the Green Man. Our Gazetteer now lists thousands of Green Men, Women and Beasts. More sightings arrive weekly and I suspect that there are many thousands more as yet undiscovered Green Men out there. 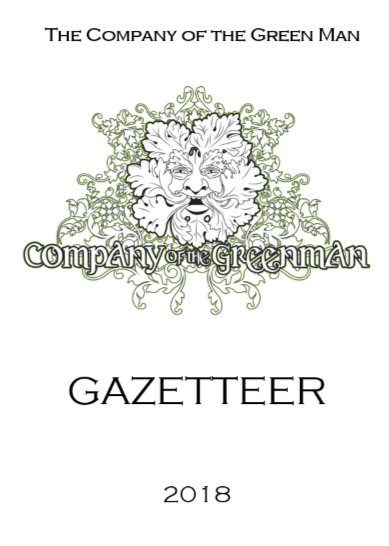 I’m hopeful that the downloadable gazetteer will become a really useful tool for Green Man hunters who can now download a current copy to their phone or tablet prior to heading out so that it is always available offline. The Gazetteer is now available for anyone to download completely free of charge via the Gazetteer tab at the top of this page. It is still a work in progress, I have many sightings to add and a lot of formatting to do but rather than keeping it back until this is done I would prefer it be available for use now and keep updating it as and when I can. Those who discover a green man that has never been recorded will be credited in our gazetteer as the original discoverer! Those how are able to verify an entry will be credited as the verifier. Please e-mail me with as much detail as possible and preferably include a photograph for us to add to our online Flickr Archive. A picture: The quality of even the most basic of mobile phone cameras is now so good that even a quick snap would really be appreciated. It will be added to our online photographic archive copyrighted to the finder and may even appear in our members newsletter and on our blog. I am also hoping to start embedding Google Map links directly into the gazetteer so would really appreciate Google Map co-ordinates if possible too. Membership of The Company of the Green Man is free, just click on the Join Us tab at the top of this blog. This entry was posted on Sep 22, 2018 by Chris Walton. It was filed under Company Notices, Green Man, Green Man Sightings . Hi Barry, your comment seems to have tantalisingly ended a bit short!